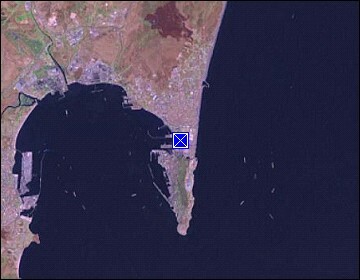 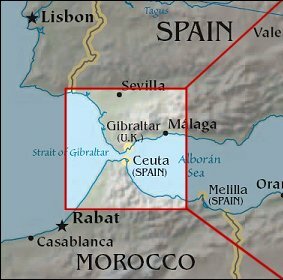 Here we see the border between Spain and Gibraltar. 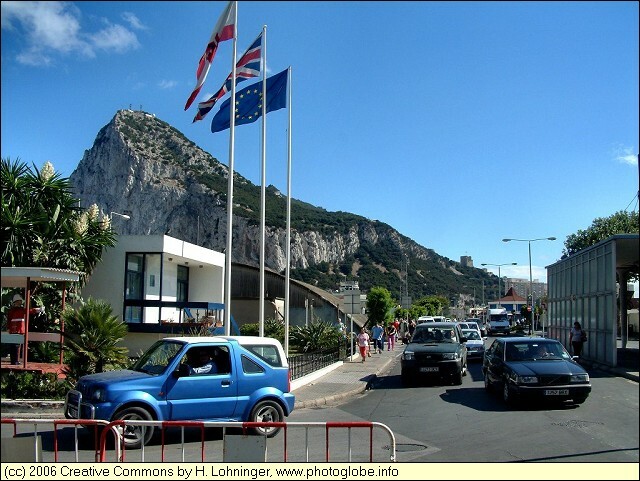 Since crossing the border by car can be rather time-consuming, many tourists park their cars at La Linea on the Spanish side of the border and walk across the border. 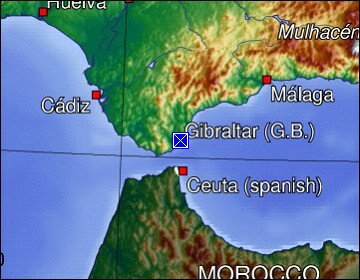 Map references: left: courtesy CIA, middle: generated by GMT, right: courtesy NASA.